644 pages | 3 B/W Illus. It is organised to address a series of themes pertinent to the on-going theoretical and methodological development of news and journalism studies around the globe. The focus encompasses news institutions, production processes, texts, and audiences. Individual chapters are problem-led, seeking to address ‘real world’ concerns that cast light on an important dimension of news and journalism – and show why it matters. Entries draw on a range of academic disciplines to explore pertinent topics, particularly around the role of journalism in democracy, such as citizenship, power and public trust. Discussion revolves primarily around academic research conducted in the UK and the US, with further contributions from other national contexts - thereby allowing international comparisons to be made. 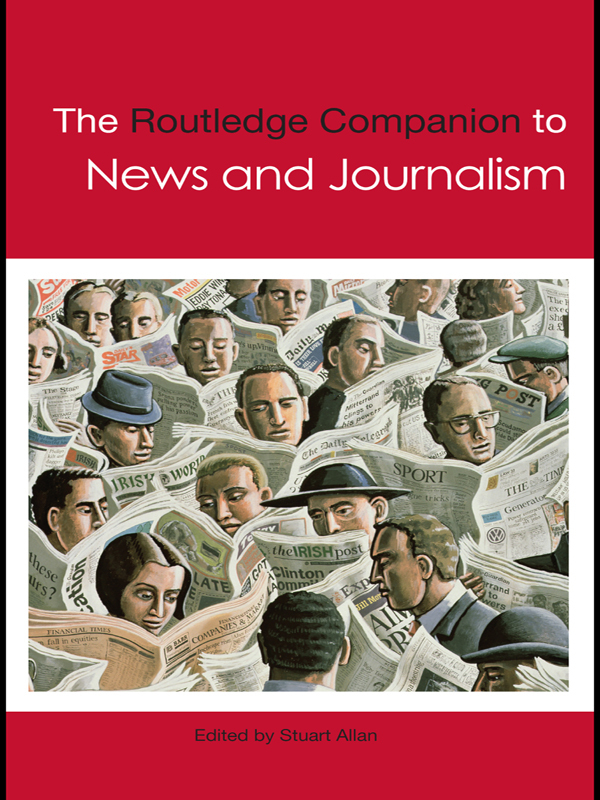 The Routledge Companion to News and Journalism provides an essential guide to key ideas, issues, concepts and debates, while also stressing the value of reinvigorating scholarship with a critical eye to developments in the professional realm. The paperback edition of this Companion includes four new chapters, focusing on news framing, newsmagazines, digital radio news, and social media. Stuart Allan is Professor of Journalism in the Media School at Bournemouth University, UK. Recent books include News Culture, 3rd edition (2010), Digital War Reporting (co-authored with Donald Matheson, 2009) and Citizen Journalism: Global Perspectives (co-edited with Einar Thorsen, 2009).